Drizzle the melted chocolate around the sides of a cosmopolitan glass. 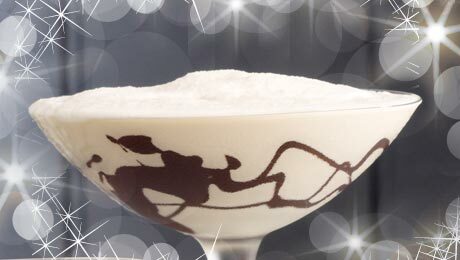 Pour the Baileys, rum and cream into a food processor and add the ice cubes. Blitz for 4–5 minutes until the ice is crushed. Pour immediately into the chocolate-drizzled glass.